1. Their long-distance bill must be horrendous. Nobody has made better use of overseas players than ODU. Australian stalwart Alex Loughton graduated last year after leading the Monarchs to an NCAA berth and the final four of the NIT. This year, the team is paced by Lithuanian sharpshooter Valdas Vasylius and tough Ivory Coaster Arnaud Dahi. Seven-foot-threeSam Harris is a work in progress who hails from the island of Tasmania. 2. Ladies... The men's team is still struggling to reach the level set by the Lady Monarchs, who won an NCAA championship in 1985, amassing a 31-3 record. 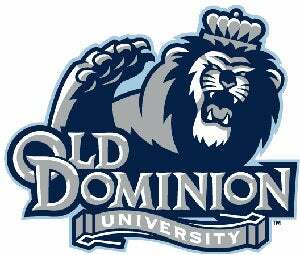 ODU has also taken top prizes in Field Hockey and Sailing, showing some impressive skills with both individual and team Dinghy handling.